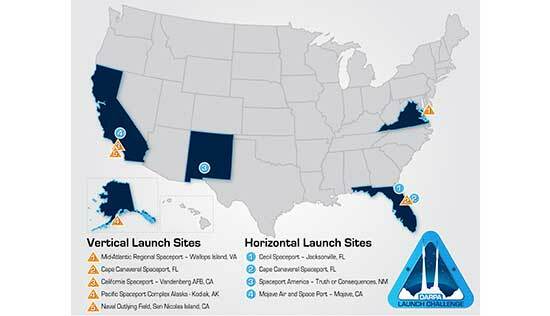 ARLINGTON, Va. (NASA PR) — DARPA has narrowed the potential launch locations for the DARPA Launch Challenge to eight, with options for both vertical and horizontal launch. The challenge will culminate in late 2019 with two separate launches to low Earth orbit within weeks of each other from two different sites. Competitors will receive information about the final launch sites, payloads, and targeted orbit in the weeks prior to each launch. The Jacksonville Aviation Authority has received an $1.8 million matching grant from Space Florida to fund the design and construction of a space operations center, payload preparation facility and rocket motor test facility at Cecil Spaceport, the Jacksonville Daily Record reports. Space Florida, which is the state’s space promotional agency, approved the funding at a board meeting in June. Cecil Airport is a public joint civil-military airport and spaceport. It was a naval air station from 1941 until 1999. TALLAHASSEE, Fla., March 24, 2015 (FSDC PR) – Space Florida’s budget is in play during the ongoing Legislative Session in Tallahassee. The agency typically receives $10 million for its operations, which the House has budgeted, but the Senate offers only $8 million this year. Furthermore, the Senate’s budget language would prohibit any spending on the Shiloh launch site until after an FAA environmental impact report is issued, vetted by Florida’s environmental agency, and a summary shared with the Cabinet and legislative leadership. Another Senate amendent seeks to prohibit Space Florida spending for the operation of federal spaceport assets without first being reviewed by the state’s military support organizations to ensure the infrastructure will be available for military purposes. Also, the Senate would take an additional $2 million from Space Florida’s operating budget to fund Cecil Spaceport infrastructure. The House would fund the Cecil investments at the same amount, but without earmarking it from within Space Florida’s budget. Meanwhile, an Embry-Riddle Aeronautical University program for high-school based Aerospace Institutes would receive $3 million in the House budget and $6.5 million in the Senate’s. And a Florida Tech space research institute would receive $2.5 million in the Senate’s budget. Space Florida Ops Budget ($10M) Included in House Trans. and Econ. Development (TED) Appropriations budget Senate budget includes $4M recurring & $4M nonrecurring, for a total of $8M Included in Gov. Scott’s budget request, with $4M of recurring funding and $6M non-recurring. 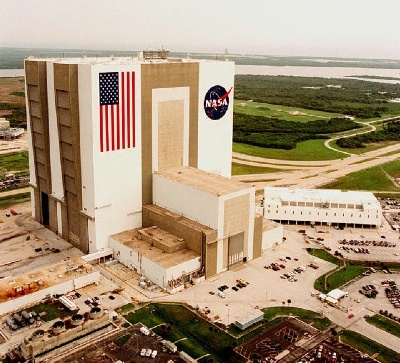 Senate budget seeks a 20% cut to Space Florida’s longtime budget amount. Provided in 2014 but not included in Gov. Scott’s 2015 request. May be a legislative priority. Infrastructure Funding “TIP” program funded at $15M in 2014 within FDOT budget allocation. Status unclear for 2015. Shuttle Landing Facility Transition ($2.5M) Proviso earmark of $2.5M in 2014, and intended for two years by sponsoring legislators. Status unclear for 2015. Cecil Spaceport Infrastructure ($2 Million) Included in House budget Included in Senate budget, but earmarked from Space Florida’s operating budget. Not included in Gov. Scott’s request, but budgeted by House and Senate, same amount as last year. Space Industry Tourism Funding ($1.5M) Included in House TED budget Included in Senate budget Included in Gov. Scott’s budget request. Continued funding for coordination with VISIT Florida to support tourism attractions and space tourism flight business. Florida/Israel Joint Aerospace Development ($1M) Included in House TED budget Included in Senate budget Included in Gov. Scott’s budget request. 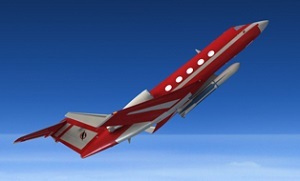 Continued funding of joint aerospace projects with Space Florida and Israel. Contractor Tax Refund EDTS package extends application period thru 2017, local govt must pay 20% Incentive program requires statutory change to renew application window for companies to qualify for refunds. Supported in 2014 by Gov. Scott. Status unclear for 2015. $6.5M budgeted Supported by Gov. Scott in 2014 as a recurring budget item to support/expand network of high school aerospace academies. $3M was approved in 2014. $2.5 million budgeted Similar to a request from last year ($500K approved) and from 2013 ($2M vetoed). * Note: Most budget items are subject to the Governor’s line-item veto authority. JACKSONVILLE, Fla. (Space Florida PR) — On September 11th, the Jacksonville Aviation Authority will host its biennual Cecil Spaceport Summit at the Jacksonville Hyatt. While the first event in 2012 was more focused on educating legislators on issues pertaining to the commercial space industry, the upcoming Summit will take on more of a workshop format for interested launch site operators and launch providers. The goal will be to not only address key industry questions but also increase the visibility and offerings of the Cecil Spaceport. Space Florida President Frank DiBello will serve as the morning keynote at this year’s event and will address strategies to keep Florida first in the global space market. JACKSONVILLE, FL, June 2, 2014 (JAA PR) — The Jacksonville Aviation Authority (JAA) today applauded Gov. Rick Scott for signing the 2014-2015 state budget, which includes $2 million to build infrastructure necessary for the development of Cecil Spaceport. JAA also expressed appreciation for the continued support of Cecil Spaceport by the Florida Legislature, including members of the First Coast Legislative Delegation, the Florida Department of Transportation and Space Florida. Cecil Spaceport is the only facility in Florida licensed by the Federal Aviation Administration (FAA) to accommodate commercial space horizontal launches. In December 2013, JAA signed its first tenant agreement at Cecil Spaceport with Atlanta-based Generation Orbit Launch Services, Inc. (GO). 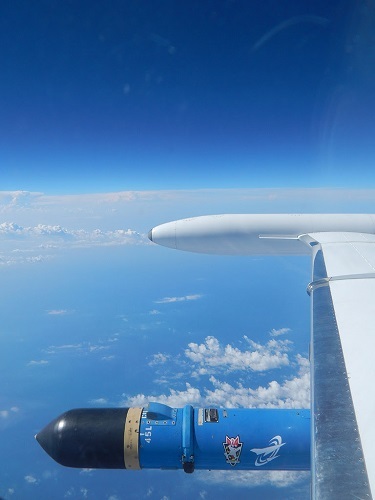 GO is developing an in-flight suborbital space launch platform to conduct microgravity and hypersonic research (GOLauncher 1) and later, a dedicated orbital launch platform for nano and micro satellites (GOLauncher 2). Test flights are expected to begin at Cecil as early as August 2014, with operational launches forecast to begin in 2016. JACKSONVILLE, Fla. (JAA PR) — The Jacksonville Aviation Authority (JAA) has signed its first tenant agreement at Cecil Spaceport with Generation Orbit Launch Services, Inc. (GO). Atlanta-based GO will utilize Cecil’s hangar space, its 12,500-foot runway and the safe flight paths that have already been coordinated with the Federal Aviation Administration (FAA), among other things, to support its commercial flight and horizontal launch program.